The Global Governance 2022 program (known as GG2022) is a series of dialogues focusing on the possible futures of global governance and how the international institutions can prepare for challenges and risks in an uncertain future. Over the course of almost nine months in 2012-2013, the program comprises three dialogue sessions in Berlin (26-30 August 2012), Beijing (7-11 January 2013) and Washington, DC (5-9 May 2013). It brings together 24 young leaders from China, Germany and the United States – the GG2022 fellows. Over the course of the program, the fellows will forge cross-cultural networks and, using the intellectual instruments in the field of future research, devise scenarios for the future of international institutions in the three areas of cyber security, development and energy governance. They will be encouraged to combine their insights on possible future developments with their normative convictions about the shape and role of global governance in order to create a shared vision of the future system of global governance. The GG2022 program is jointly organized by the Global Public Policy Institute, the Hertie School of Governance, Brookings Institution, the Woodrow Wilson School at Princeton University, Tsinghua University and Fudan University. GG2022 is generously supported by Robert Bosch Stiftung and the Transatlantic Program of the German government (ERP Grant administered by the German Ministry for Economics and Technology). 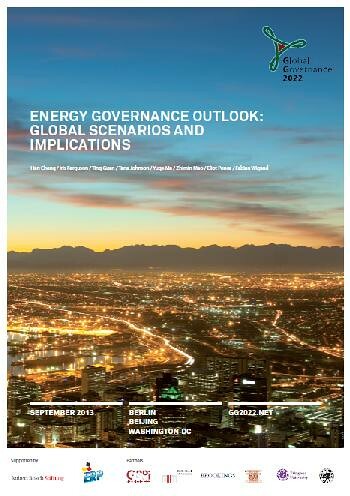 This report summarizes the work of the GG2022 working group on global energy governance. To explore possible futures in global energy governance, the working group used a scenario planning methodology with techniques developed extensively in the field of future studies. The diverse nationalities, backgrounds, and expertise of working group members contributed crucial assets for devising national strategies and solutions. This report summarizes the work of the GG2022 working group on global cyber security governance. To explore possible futures in global cyber security governance, the working group used a scenario planning methodology with techniques developed extensively in the field of future studies. The diverse nationalities, backgrounds, and expertise of working group members contributed crucial assets for devising national strategies and solutions. 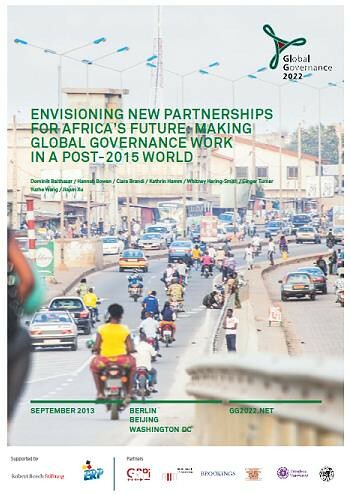 This report summarizes the work of the GG2022 working group on global development governance. To explore possible futures in global development, the working group used a scenario planning methodology with techniques developed extensively in the field of future studies. The diverse nationalities, backgrounds, and expertise of working group members contributed crucial assets for devising national strategies and solutions.